Members will be pleased to hear that Matt Williams' book entitled was published in early June 2017. Members will recollect that Matt has given us a couple of very interesting talks in 2014 and 2016 on this general theme. He indicated on both occasions that a book on the topic was in preparation. NES AGM 2018 was held on Monday 26th March 2018. It was split into two parts. The first dealing with the management of the Society and the second consisted of several short presentations. Two important bits of news are that, after a unanimous vote, Tim Birt was elected President for 2018-2019 and the Society welcomes Alan Shilling and Blair Rawes to NES Council. The second piece of news is that, given the state of the Society Finances, the Treasurer, recommended that annual subscription rates remain the same as for 2017-2018. These rates will be listed in Yearbook 2018-2019 that will be sent to existing Members this coming September. There were two talks and a demonstration in the second part of the Meeting. The first talk by Past President, Tony Meacock, was on the actual perforamnce of the solar panel array on his house and the second by Member, Tim Waterfied, was on " Gloster Jet Aircraft and their pilots". Past President. John Rant, followed these talks by a demonstration of his 3D printing equipment. Postwick bridge construction time lapse sequence. Sequence One. - 14 to 18 April, (18 mins duration). The first view (from 14 to 18 April) shows the beams being assembled in the compound, the main crane being rigged and (go to 10 mins), on Saturday 18 April with the A47 closed to traffic the beam pairs being lifted on to the eastern piers. Sequence Two - 24 and 25 April (go to 18 mins, 11 mins duration). The view shows the A47 closed to traffic, with the arrival and rigging of the main crane (go to 19 mins), arrival of the first beams (go to 23 mins) followed by lifting on to the western piers. Sequence Three – 9 May (go to 29 mins). A fresh view shows central span beams being lifted into place and the de-rigging of the crane to move to the other side of the bridge for the final two lifts. For regular updates on this and other Transport for Norwich projects email "Transport Matters sign-up" to norwich.transport@norfolk.gov.uk. 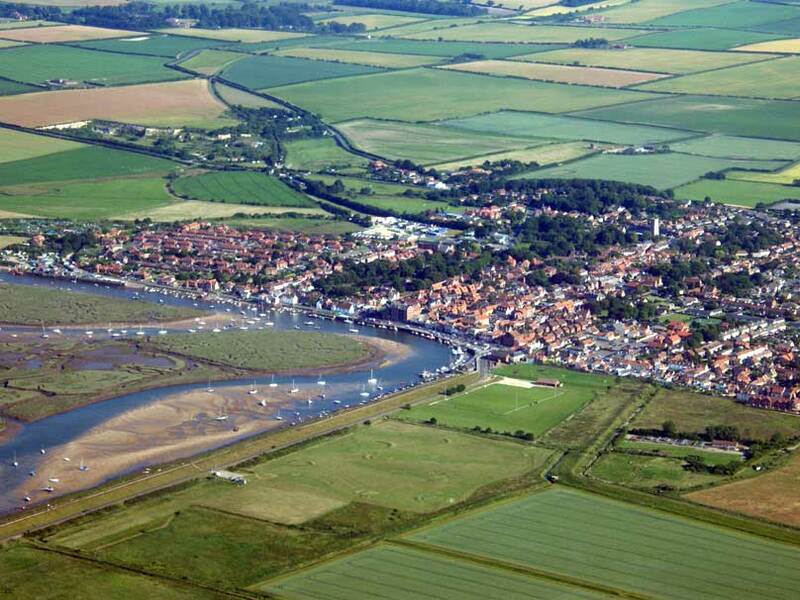 The McAully Flying Group is a small private flying club which has been established for over 50 years. They operate from Little Snoring which is a WW2 airfield approximately 3 miles north east of Fakenham, about 7 miles from the north Norfolk coast. 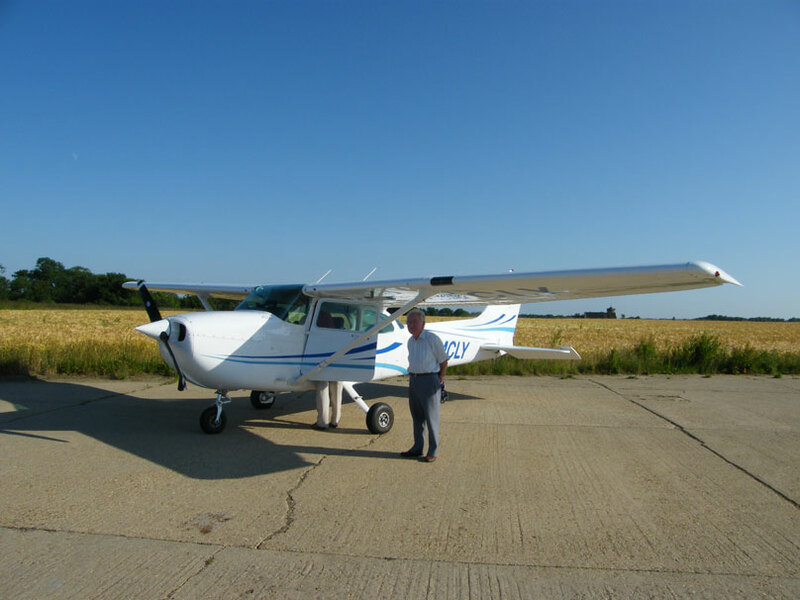 During the summer they offer the opportunity for invited guests to fly as passengers in their four-seat light aircraft. We were again invited this year to a flying day. In order to give more people the chance to fly, flights will normally last half an hour. 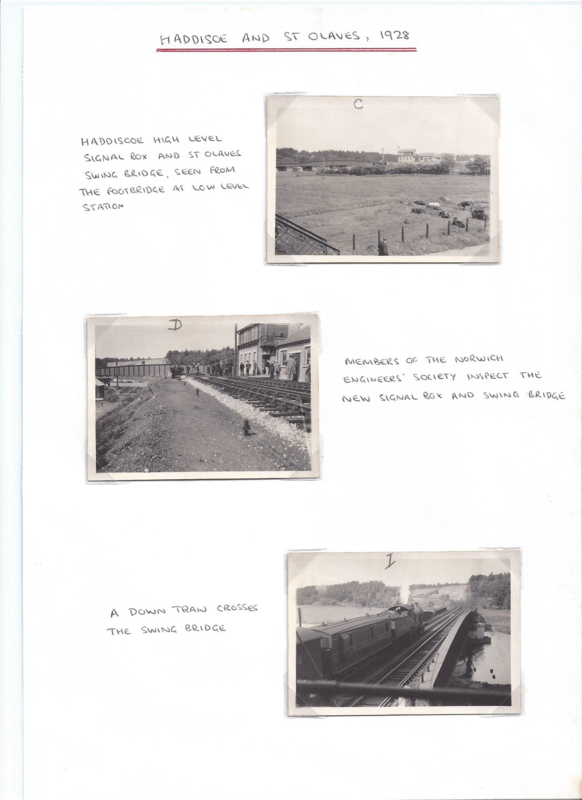 In a recent rummage through the records of another Norwich based Society, a mounted page of old photos emerged of a visit by Members to the newly refurbished railway bridge at Hadiscoe. Thought Members might be interested in the document! - Editor. This year's competition, organised by the Rotary Clubs of Norwich, Norwich St Edmund and Reepham, was held at the Hewett Schoolon on Friday March 9th 2018. Activity began at 09.30. when Tim Birt, introduced the teams to this year's task; based on the concept of launching and retrieving aspace module. Clearly the task had to be scaled back somewhat for inexperienced teams to complete in a day's activity and available materials!! About 20 teams from schools in Norwich and surrounding areas will participate in this year's competition. Society Members were invited to attend the event and helped create an enthusiam and interest amongst the participants without actually giving individual teams direct assistance. Members were very much impressed with the imagination and the skill level that the youngsters displayed in tackling the problem in hand. The tournament was judged not only on the success of the final product but also on a portfolio of design briefs, teamwork and the methods employed for both the build and test regimes. This mix and the amount of attention that the teams had in successfully balancing these deliverables had an important impact on the overall outcome of the competition. Without exception each of the teams set to and produced strategies that with care could have worked within the time set aside for it. This year most teams actually managed to get a functioning system working within the specifications at their level. All the advanced level teams managed to complete the task. The final order being decided on the quality of the documentation. NES has helped sponsor the event since its inception over 10 years ago. Each year NES also helps with several Members acting as judges. 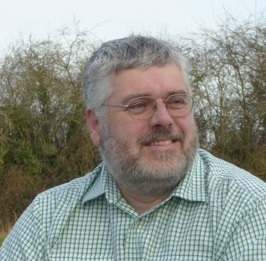 This year Member Tim Birt will again be Head Judge. Any Member that is interested in being a judge please get in contact with Tim Birt. The most important feature is not so much winning as taking part and that every team goes away feeling that they had done something worthwhile! 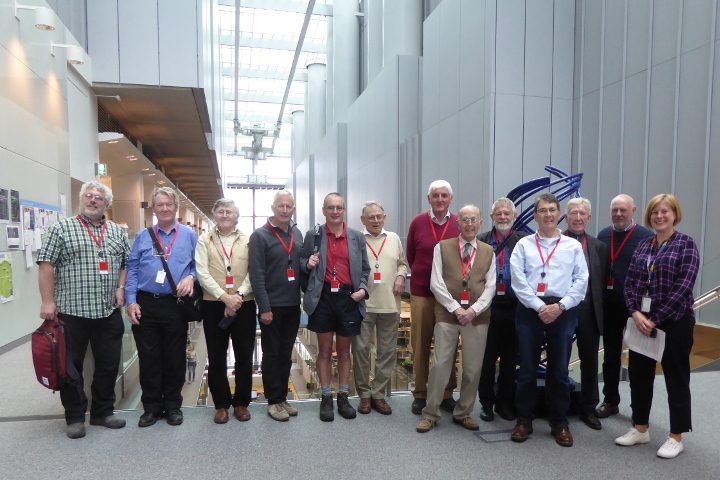 At the end of Dr Lucy Collinson;s excellent presentation last November she invited the Society to come to the Crick Institute and see the facilities. The President has set up the visit for Wednesday April 25th 2018. A group of 12 members duly arrived on the day and were met by Dr Collinson. The first part of the tour consisted of general overview of the building. Lucy told us about the history of the building and outlined some of the constraints encountered during the design and build phase. For the second part of the tour we were split up into two groups and shown in closeup of the workings of Lucy's Electron Microscopy group. She and Martin Jones showed us both the transmission and reflection mode devices and showed us how the samples are prepared and shown how the data is acquired and analysed. Many thanks to both our guides for taking time out of their busy life and to their co-workers whose work was interrupted when we entered their workspace. For a fuller visit report use link Crick Institute Visit Report. After a recent splendid talk by David Carlin as this was the Society\'s nominated Charity Lecture a collection was taken. It raised the superb sum of £250. The Society's nominated charity for 2018-2019 is the Norfolk Wildlife Trust. As two of our previous speakers had waived their expenses and asked for them to be donated to a charity of the Society\'s choice and the Society makes an annual charity donation of £50 a cheque for £350 has been sent to the Norfolk Wildlife Trust. 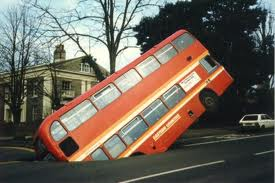 Owing to essential maintenance at our current venue, Holiday Inn (Ipswich Road) the Society\'s AGM has had to be moved from March 25th (am already shifted date} to May 6th. As well as the standard AGM business a very important item is the consideration of the Constitution and our Rules of Governance. The formal business will be followed by several short talks by Members.